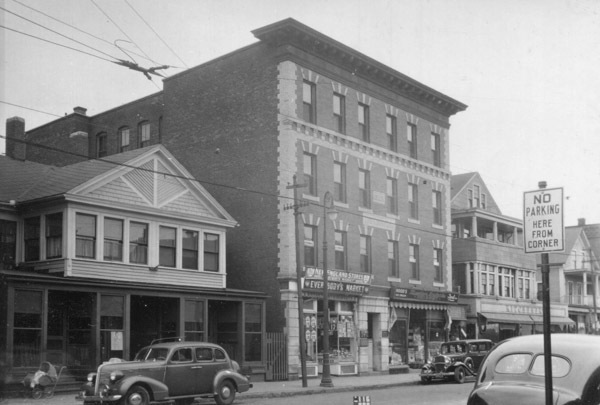 The tenement block at 114-124 Main Street in the Indian Orchard neighborhood of Springfield, around 1938-1939. 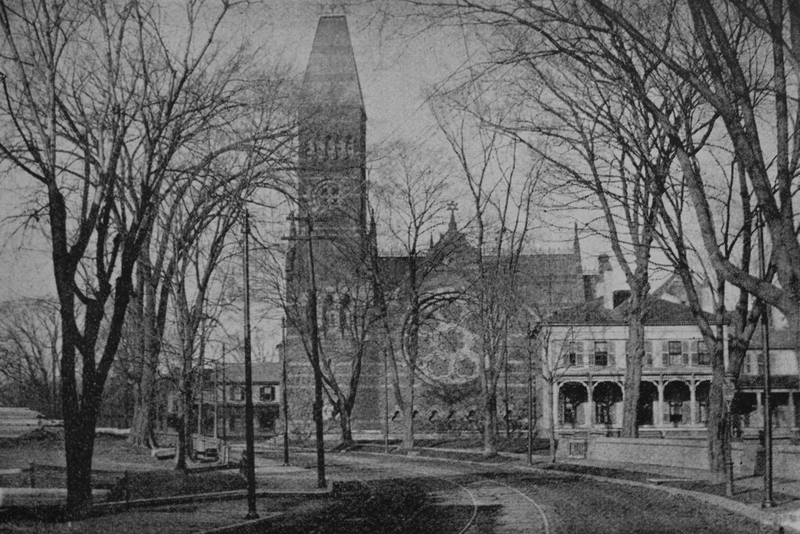 Image courtesy of the Springfield Preservation Trust. Indian Orchard is located along the Chicopee River, in the northeast corner of Springfield, and in the mid-19th century it was developed into a factory village. The first mill was built in 1854 by the Ward Manufacturing Company, a cotton company that also owned the dam on the river, the power canal, and much of the land in the village. 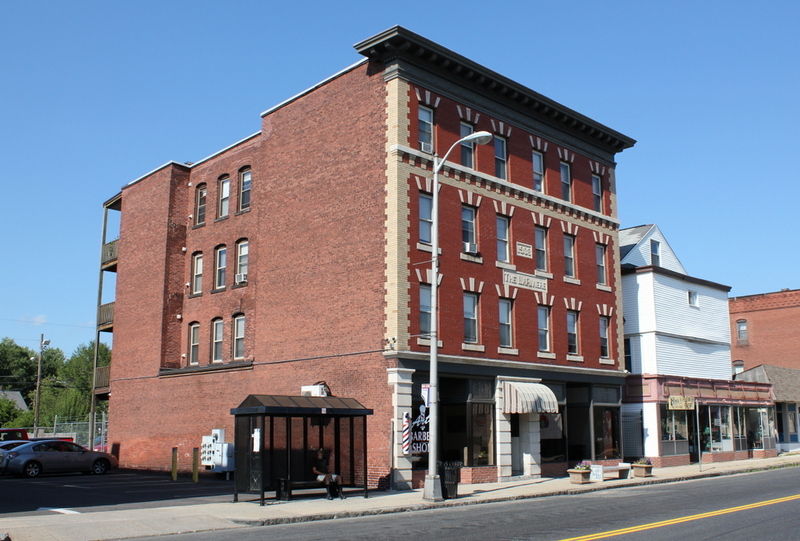 The company also built a number of tenement blocks in the vicinity of the mill, and this building on Main Street was likely one of them. However, Ward Manufacturing went bankrupt only a few years later, and in 1859 the mill and tenements were acquired by the Indian Orchard Mills Company. The 1900 census shows 10 families living in this building, nearly all of whom were French-Canadian. Most worked for the mills in some capacity, including as a weaver, spooler, teamster, boiler tender, and watchman. 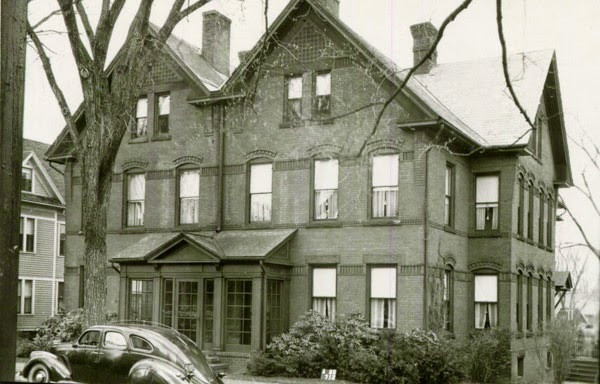 The largest family was that of John and Rose Levesque, who lived here with nine of their 11 children. The children’s ages ranged from one to 26, with the four oldest employed in factories, although it is also possible that the younger children may have – at least unofficially – been working as well, since child labor was still a common practice here in Indian Orchard and throughout the country. However, perhaps the most tragic story seen through the census records is that of Owen and Mary Hammond, two Irish immigrants who were in their 50s at the time. They lived alone, but according to the census, Mary had six children, only one of whom was still alive by the time of the census. 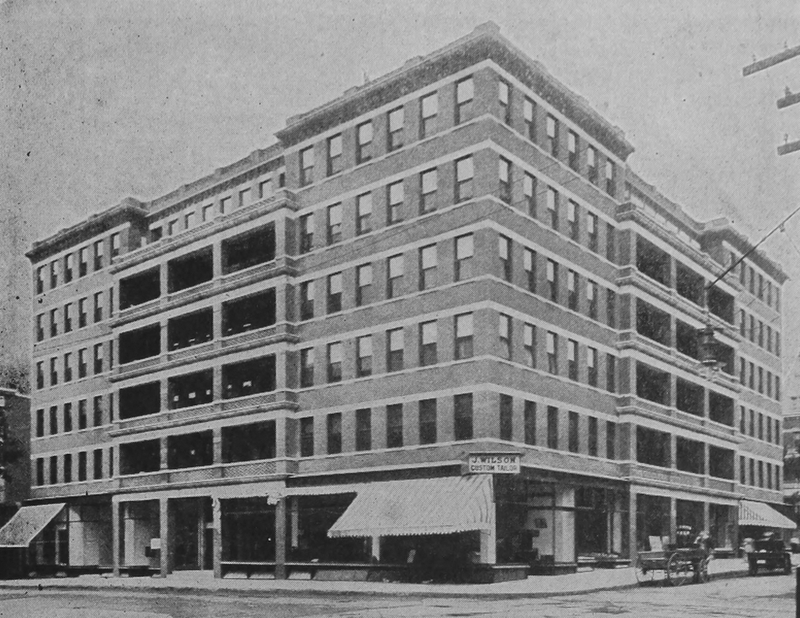 The building was still standing when the first photo was taken in the late 1930s, but, like all of the other Indian Orchard Mills tenements in the area, it has since beeen demolished. 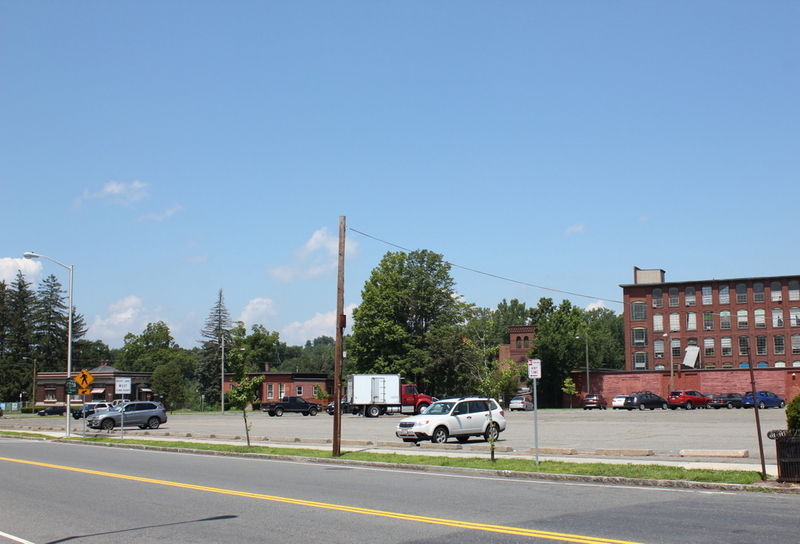 Some of the mill buildings are still standing, though, and the interior space is now rented to a variety of tenants, who use it for offices, manufacturing, and art studios. 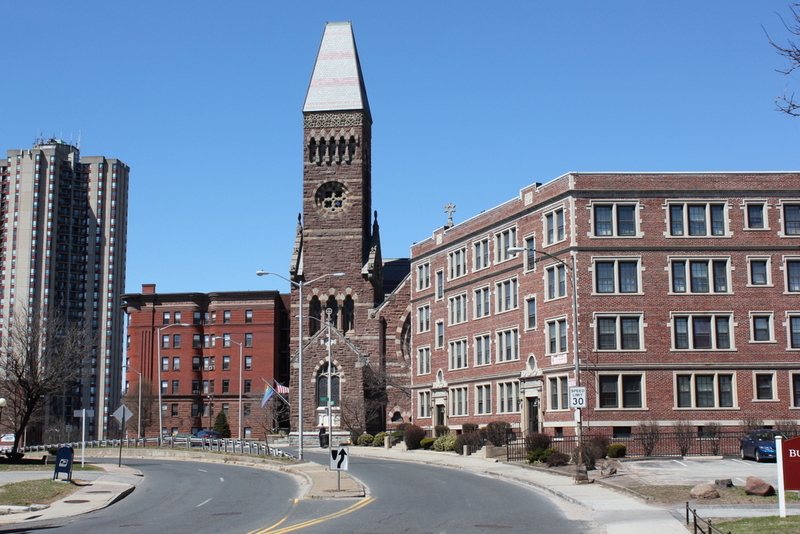 These buildings can be seen in the distance of the present-day photo, although closer in the foreground, the former site of the tenement house is now a parking lot that extends the entire length of the block from Main to Front Streets. 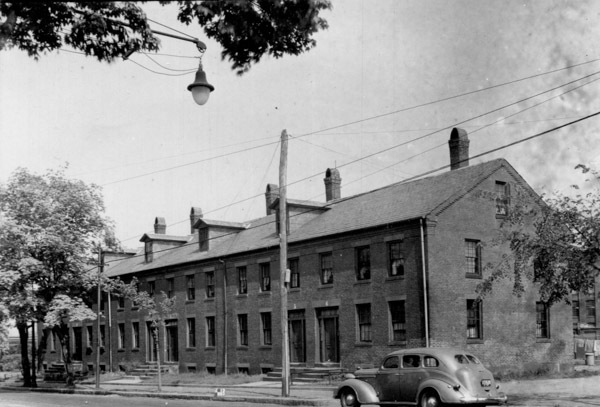 The tenement houses at 136-142 Main Street in the Indian Orchard neighborhood of Springfield, around 1938-1939. 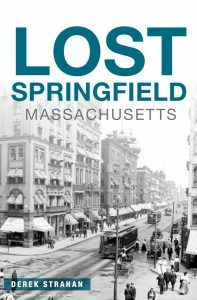 Image courtesy of the Springfield Preservation Trust. 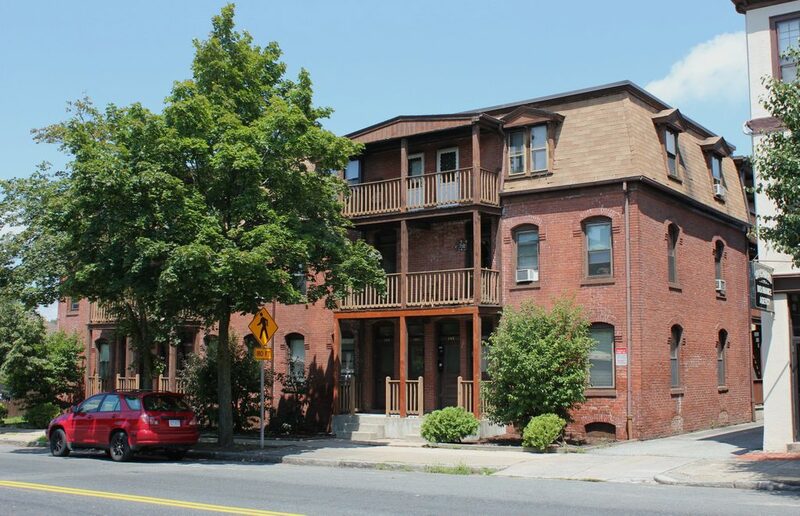 This Second Empire-style tenement building was built sometime around the 1870s, and was owned by Octave A. LaRiviere, a French-Canadian immigrant who lived a block away in a house on Main Street. A dry goods merchant, LaRiviere went by the anglicized name of John Rivers for many years, in order to avoid anti-immigrant discrimination. 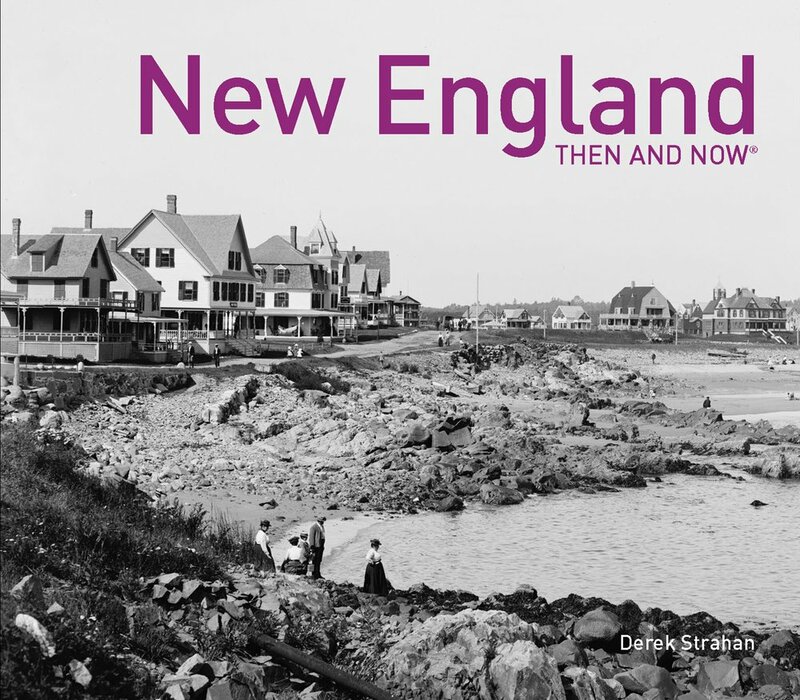 He served as a city councilor and alderman in the 1880s and 1890s, and later served as a Massachusetts delegate to the 1912 Republican National Convention. In his later years, he reverted to his original French name, and was a contractor in the firm of LaFrance & LaRiviere. 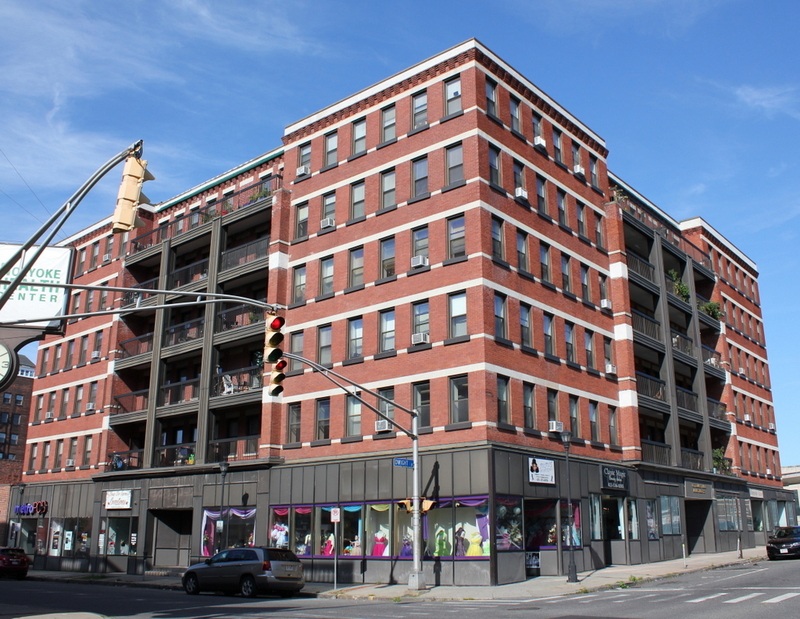 This building was one of many tenements that were built in this area in the late 19th century, in order to house workers at the nearby mills. Many were company-owned tenements, but this one was privately owned, with a mix of mill employees and other workers. The 1900 census showed at least three families in this building (although there were probably more than that), including two immigrant families from Quebec. One unit housed Louise Bengle, who lived here with her son Paul, who worked as a clothing salesman, and her grandson Donald, who worked as a machinist. A second unit was the home of Casimir Baillargeon, a carpenter who lived here with his wife Mary, along with his nephew, his niece, and a boarder. A third unit in the building was the home of Fred Pero, an iron molder who lived here with his wife Kate and their three children. 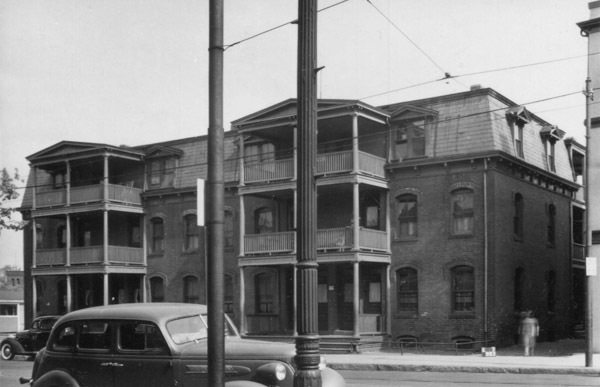 The first photo was taken in the late 1930s, and the 1940 census shows 12 families living in the buildings. They were a mix of native-born Americans, plus immigrants from Quebec and Poland, and most were employed by the nearby mills along the Chicopee River. Each family paid around $20 per month in rent, and their salaries ranged from a janitor who made $350 per year, to a tire maker who earned a salary of $1,560. The first photo shows two sets of wooden porches on the front, with two units apparently sharing each porch level. Today, not much has changed in this scene, and these porches are still standing. 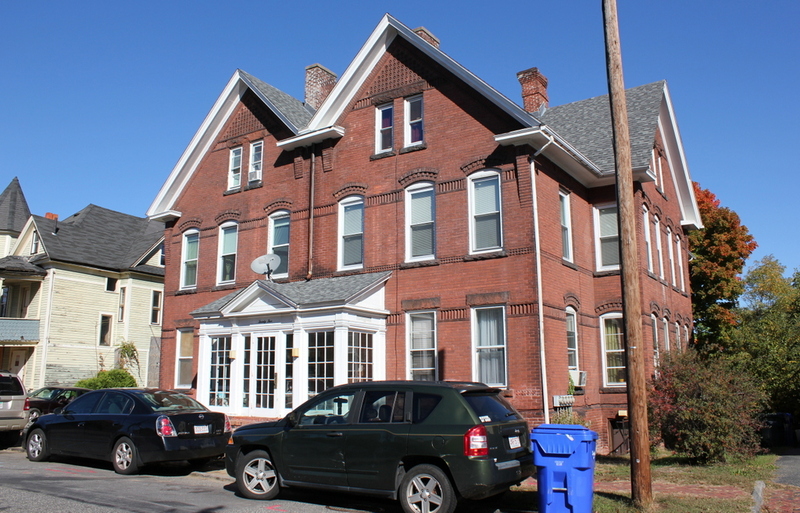 The rest of the building has also remained well-preserved, and continues to be used as a 12-unit apartment building.